Communication in nursing centers around the patient. Get me a good communicator, stat! You’d be hard-pressed to find a career where strong communication skills are more valuable than in the nursing field. 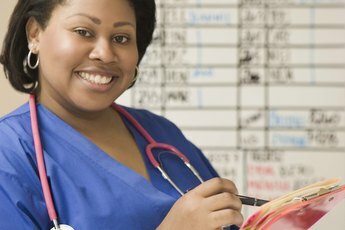 With a fast-paced workload as the norm in most medical settings, nurses face the added challenge of limited time to gather and dispense accurate patient information. All talk is not created equal. 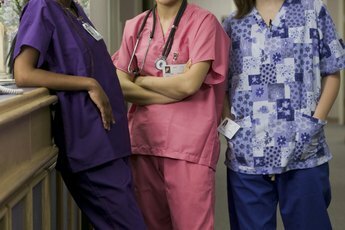 While nurses are called upon to complete many tasks in the course of a day, patients do not thrive when they feel like a simple item on a long to-do list. Theories of person-centered communication have been widely adopted by nursing professionals as a way of encouraging therapeutic expression -- which yields better health-care results. According to “Essential Communication Skills for Nursing,” nurses can align their communication around the individual with open, genuine dialogue that emphasizes empathy and acceptance. This type of natural communication is sensitive to the specialized needs of each patient. The patient is empowered as an expert in her own health-care management plan, and the nurse or medical professional seeks to both acknowledge and effectively interpret what the patient reveals. If your workplace communication routine is beginning to feel like a cell-phone commercial -- “Can you hear me now?” -- it may be time to simplify your speech. In a report for the website NurseTogether, registered nurse Joy Miller notes that nurses should aim for clarity in all communications. The recipient of any message -- spoken, emailed or otherwise -- should have a clear understanding of the intended outcomes. This includes anything the recipient must learn or act on as a result of your communication. 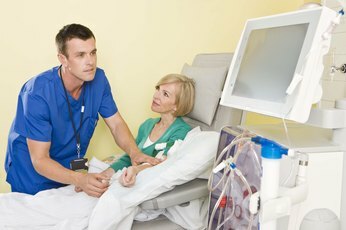 Clarity can be difficult for nurses who are sometimes tasked with communicating news that will take an emotional toll on their patients. 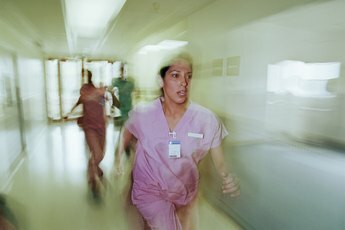 When patients are in severe pain, unconscious, or experiencing cognitive issues, nurses face a much greater task of communicating to the benefit of those in their care. Nurses communicate directly with caregivers and family members to help them understand plans and options for medical intervention and ongoing care. 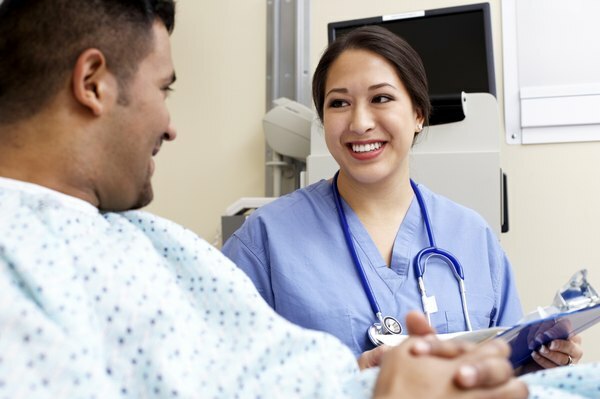 Language barriers also present frequent challenges for nurses caring for diverse populations. In these cases, attention to body language and facial expressions can help get the ball rolling toward an effective assessment. Gestures and effective use of symbols -- such as a pain rating scale with visual guides -- are also helpful. Essential Communication Skills for Nursing; Philippa Sully et al. What Skills Are Pertinent to Psychiatric Nursing?